Connecticut and New York City moving services, moving in Westchester, Putnam, Dutchess Counties, fairfield county CT, moving trips to Florida. Armstrong Moving and Storage is a family-operated moving company dedicated to providing you with prime moving services. If you are a resident of Ridgefield, CT and are looking for a trustworthy moving company, look no further, because Armstrong is here to help! Moving can be a taxing job on a family or business. It is a task which takes much preparation, strength, and effort. To help make the job easier, we are here to help you with the physical components of moving, so as to relieve you of the stress. While we take care of storage and the physical moving, you can have the time to prepare all the paperwork and such which is needed for such a big change. We can provide you with various boxes for all sorts of possessions, which our experienced team of movers will handle with care. We understand that your property is to be handled carefully and respectfully. If you have our professionals transport your possessions for your move, you will not regret it, for we will not mistreat or break any. Additionally, the trucks and equipment we provide you with are clean and in excellent condition. As well as local and long-distance moving services, Armstrong can help you with the intricacies of an international move. Planning and/or executing such a step can cause much stress; therefore, we are able to help you by providing access to attorneys, moving tips, international moving and storage, and much more! Additionally, if you need a place to store extra equipment, items, etc., our storage facilities are available to you. They are maintained and secured 24/7 and kept in competent environments. Trustworthiness and efficiency are of utmost importance to Armstrong Moving. If you hire us for your various moving needs, we ensure you to only provide you with quality services executed in a timely, efficient manner. Mediocrity is not tolerated in our company; therefore, we strive to provide you with the best services you could possibly find in Fairfield County, CT, and work to exceed your expectations every time. As a prestigious and highly-regarded business of the Tri-State area, we promise you high-quality services, equipment, and/or storage no matter where to or how you with to move. 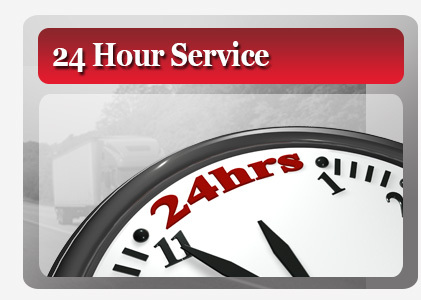 We at Armstrong Moving work diligently and smoothly in order to prevent any inconveniences or mishappenings. Our team of professional and highly competent movers work to ensure your satisfaction at all times. Feel free to contact us if you wish to make an appointment or if you have any questions. www.movewitharmstrong.com covers United States, Danbury, Greenwich, Ridgefield, Westport, Stamford, Norwalk, Newtown. Our services include Connecticut moves, moving to and from Fairfield county and moving trips to Florida. www.movewitharmstrong.com - Our services include Connecticut moves, moving in Fairfield county, CTand moving trips to florida.